The DWL-6000AP -- future proofing any wireless local area network. D-LINK has announced the AirPro DWL-6000AP, the first industry standard quad band wireless access point that serves both 72Mbps, 54Mbps at 5GHz 802.11a and 22Mbps, 11Mbps at 2.4GHz 802.11b+, 802.11b modes. The AirPro DWL-6000AP will benefit users, providing higher throughput rates for both standards, while remaining completely compatible with all current 802.11 products. The DWL-6000AP is a suitable solution for future proofing any wireless local area network (WLAN). Armed with MAC authentication and security capabilities, the DWL-6000AP has an intuitive and secure web-based interface that is powered by an embedded web server. The included D-Link AP Manager software allows for easy monitoring and management of multiple access points on the network. Free firmware upgrades will allow the unit to evolve and provide support for new software features as they become available. 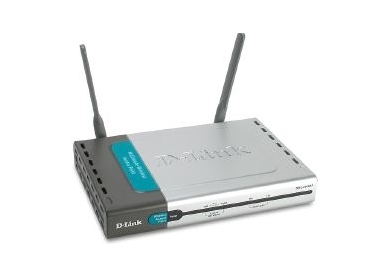 The D-Link wireless access point is a fully integrated solution that includes two internal mini-PCI slots to allow both 802.11b+ and 802.11a radios and connectivity. It offers high-speed data rates at up to 72Mbps within the 5GHz frequency band and supports 8 non-overlapping channels, in the 5GHz spectrum, that reduce Co-Channel Interference (CCI) in densely deployed wireless LANs to maximize individual client network throughput. This multi-mode access point features strong security, with support for 152-bit WEP encryption for 802.11a clients, at full line speed without noticeable performance degradation, as well as unique per link keys and dynamic key exchange. It provides up to a 20 per cent performance increase within the popular 802.11b 11Mbps standard. Additionally, even greater performance can be achieved when the TI packet binary convolutional coding (PBCCTM) modulation option is employed, which allows users to take full advantage of the fastest wireless speeds available in the 2.4GHz radio spectrum, while remaining compatible with existing 802.11b networks. Increased security and privacy are provided by the 256-bit WEP encryption without introducing latency to network traffic.